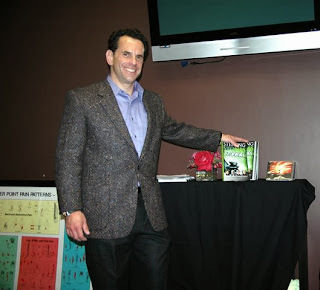 Celebrity English: The Amazing Scott Schmaren Transforming Lives! Celebrity Scott Schmaren is a Visionary Change Facilitator, Speaker, Writer, Coach, Author and more! 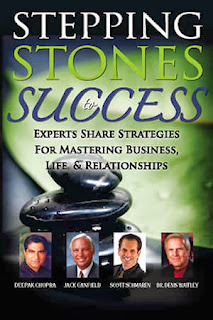 Scott has Co-Authored a best selling book called "Stepping Stones to Success" along with other amazing writers such as Deepak Chopra, Jack Canfield and Dr. Denis Waitley. Scott has also been on the enormously, well loved TV Talk Show Oprah Winfrey! Let’s find out a bit more about Scott and his Dream. Here is Scott Schmaren in Action at a recent inspirational seminar! Alex Graham: Wonderful Video! 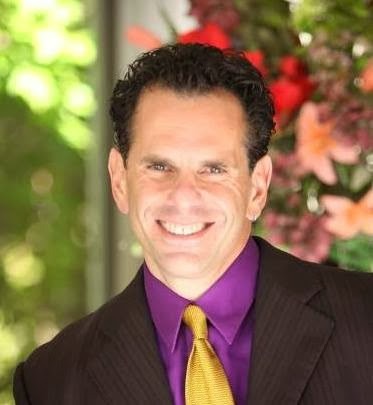 And to give you a bit more background, Scott Schmaren is a Certified Clinical Hypnotherapist and a Certified NLP Practitioner. 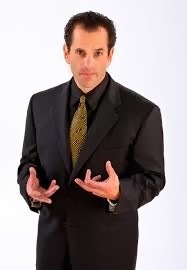 Scott has spent over 20 years learning powerful success technologies. With Scott Schmaren, Deepak Chopra, Jack Canfield, Dr. Denis Waitlry! Alex: Scott, you Co-Authored a book called "Stepping Stones to Success" with other amazing writers such as Deepak Chopra, Jack Canfield and Dr. Denis Waitley. In your own words, can you tell us a bit about this terrific, new Life Changing book! This training allows people to make rapid and permanent changes to their lives so they can overcome obstacles, challenges and accomplish all of their goals, dreams and visions they have. The final part of the book highlights success stories of people who have used this powerful training to change their lives for the better. They are truly amazing people! Alex: And we can do this in just 30 minutes a day? Scott: Yes, you have got to work on your mind and it only takes 30 minutes a day. You know it would be great if we could go to the gym one time and work out one time and have the perfect body. We would all like to do that. But that is not realistic. And it is the same thing for your mind and take it in a different direction. Because all of your life you have been programmed to do something one way. You have got to work on it everyday just a little bit. 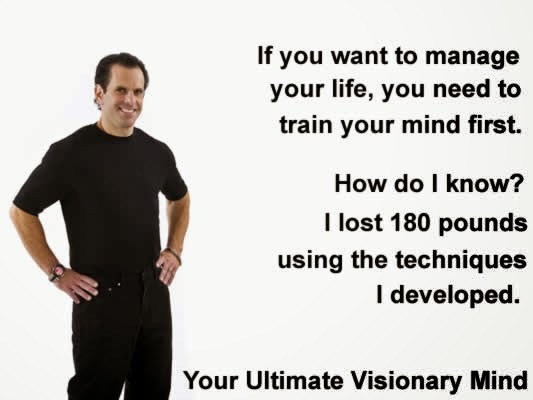 Alex: When will the book “Your Ultimate Visionary Mind: Transforming Your Life in 30 Minutes a Day" be released? Scott: At the end of the year. Alex: Excellent! I am sure it will be on the best seller's list! I will make sure to buy one of the first copies! Alex: Today for the Celebrity English readers can you give us one 'tried & tested tip' or technique. I mean can you give us one technique so that we can start changing our lives today? Scott: Get a 3 ringed spiral book, and write down affirmations everyday using "I AM _________" sentences. Don't type them make sure you write them down in your book in your own handwriting. "So how do you change the negative self images you may have about yourself and change your I Am"? You do it the same way you got the negative one, by repetition. Negative ones are like "I am fat", "I am Stupid", I am...Instead of repeating negative statement to yourself over and over, start writing and saying positive statements about yourself everyday. Start writing them down everyday in a notebook. and whatever else you need to write in that notebook to counter act the negativity in your mind. I use this well researched technique everyday myself. You can do it too! Alex: Phenomenal Tip! Thank you Scott. For the reader's of Celebrity English whether you know it or not, we all have negatives in us. Scott's technique does work! I think you will notice a difference in no time at all. free information to get you started!" Scott: It was an amazing experience! I loved the energy and enthusiasm! Just like in my seminar's, I love the energy of a group whether it is small or large. It is so positive and invigorating! "The opportunity to help people is very rewarding!" Alex: Wow! Truly Amazing! And you completed the Boston Marathon! A Big Congratulations to you!!! Alex: What is next for Scott Schmaren? Scott: I have a very strong message. I have a vision and I am on a quest. just how amazing they are!" I want to help and show people how to transform their lives just as I was able to successfully do. Alex: Scott I have no doubt that you will accomplish this humanitarian goal just as you have accomplished all of your goals successfully! 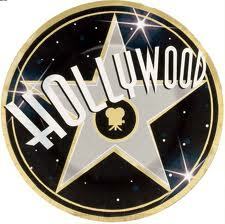 We have truly enjoyed having you at Celebrity English this week, is there anything you would like to add before we go? Scott: I just want to say, I believe everyone has it in them to change themselves into the life they want to have. "We all have the tools inside us to create change! Don't give up! There is always possibility! You can change!" If I can change you can change. Anyone can do it. I am like everyone else. Alex: Thank you very much Scott Schmaren! Scott's techniques are also being used to grow sales, business, overcoming obstacles and achieving big goals. Sales people and athletes are using his systems to accomplish consistent, peak performance! See you next week with a Halloween feature at Celebrity English! Theme: Positive People, Positive Language! Instructions: Write the meanings of the words below. If you don't know a word try to guess the meaning from the context in the interview above with Mr. Scott Schmaren . Finally, check out the vocabulary on the Internet. However, there are answer ideas below. Instructions: Who are these people and what do they do? What are they famous for? There are some ideas in the interview but you will probably need the Internet to get more information about them. Instructions: Write down 3 affirmations about yourself. Visionary Change Facilitator = Visionary: a person of unusually keen foresight. Facilitator: a person responsible for leading or coordinating the work of a group, as one who leads a group discussion. In this case, Scott Schmaren facilitates change with the people he is working with in a seminar. Speaker = someone who talks about something to a group of people. Coach = one who instructs or trains <an acting coach>; especially : one who instructs players in the fundamentals of a sport and directs team strategy <a football coach>. Author = a person who has written something; especially : a person who has written a book or who writes many book. Stepping Stones to Success = Stepping Stone: something that helps you get or achieve something; a means of progress or advancement. Success: the favorable or prosperous termination of attempts or endeavors; the accomplishment of one's goals; the fact of getting or achieving wealth, respect, or fame. seminar = a meeting in which you receive information on and training in a particular subject. Clinical Hypnotherapist = a person who implements hypnosis. hypnosis is an altered state of consciousness. Clinical Hypnosis or Hypnotherapy, therefore, is the use of an altered state of consciousness, or trance, for therapeutic endpoint. This means that people are not treated with hypnosis but are treated in hypnosis. programming (NLP) is an approach to communication, personal development, and psychotherapy created by Richard Bandler and John Grinder in California, USA in the 1970s. Its creators believe there is a connection between the neurological processes ("neuro"), language ("linguistic") and behavioral patterns learned through experience ("programming") and that these can be changed to achieve specific goals in life. Certified = having met the official requirements that are needed to do particular type of work. life changing = to give a different position, course, or direction to one's life. 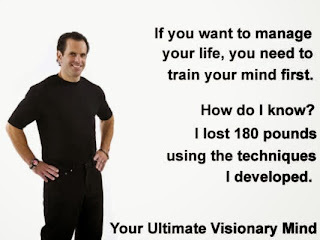 “Your Ultimate Visionary Mind: Transforming Your Life in 30 Minutes a Day.” = Ultimate (adj): greatest or most extreme. Transforming: to change (something; your life in this case) completely and usually in a good way using only '30 minutes or a half hour in a day'. Idea of book title: The book is the best guide to changing your life in a good way by training 30 minutes a day. overcome obstacles = overcome: to successfully deal with or gain control of (something difficult). obstacles: something that makes it difficult to do something. goals = plural form of goal: something that you are trying to do or achieve. dreams = plural form of dream: something that you have wanted very much to do, be, or have for a long time. change their lives for the better = change for the better: improve, become better. In this case a person's life situation. amazing = (adj) causing great surprise or wonder; causing amazement. programmed to = to make (a person or animal) behave or think in a particular way. write down = to record in written form. affirmations = (noun) the act or an instance of affirming. affirming (verb) to say that something is true in a confident way. tools inside us = tools plural form of tool: something that helps you to do your job or to achieve something. inside us: within us. Don't give up = give up: to abandon (oneself) to a particular feeling, influence, or activity. In this case, continue your feeling, goals, dreams, etc; no stopping. create change = create: to make or produce (something) : to cause (something new) to exist. change: to make (someone or something) different. Deepak Chopra = is an Indian-American physician, a holistic health/New Age guru,and alternative medicine practitioner. Chopra has written more than 75 books, including 21 New York Times bestsellers. His books have been translated into 35 languages and sold more than 20 million copies worldwide. Jack Canfield = is an American motivational speaker and author. He is best known as the co-creator of the Chicken Soup for the Soul book series, which currently has nearly 200 titles and 112 million copies in print in over 40 languages. Dr. Denis Waitley = a graduate of the U.S. Naval Academy at Annapolis, and has counseled leaders in many fields: Apollo astronauts, Fortune 500 top executives, Olympic gold medalists, Super Bowl champions, returning POWs. He was a founding member of the National Council for Self-Esteem. He has sold over 10 million audio programs in 14 languages. Oprah Winfrey = is an American media proprietor, talk show host, actress, producer, and philanthropist. Winfrey is best known for her multi-award-winning talk show The Oprah Winfrey Show which was the highest-rated program of its kind in history and was nationally syndicated from 1986 to 2011. She has been ranked the richest African-American of the 20th century the greatest black philanthropist in American history and is currently North America's only black billionaire. She is also, according to some assessments, the most influential woman in the world. 2. I Believe in myself!